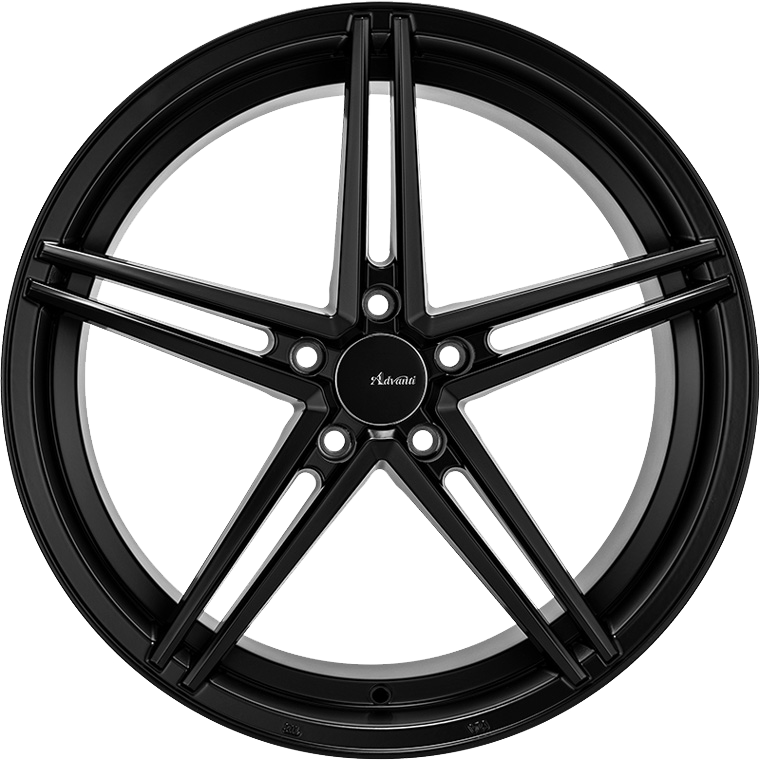 Advanti Galaxy, split five spoke design with an aggressive concave face finished in Matt Black. Advanti Galaxy, split five spoke design with an aggressive concave face finished in Matt Black. A semi-forged wheel created using Advanti Racing's latest DST technology, making it Lightweight, Strong, Durable. Dynamic Spinning Tech ( DST) is Advanti Racing's latest propriety technology. Utilizing flow form technology to apply pressure on the inner wheel after casting. The DST pressure stretches & forms the material, resulting in greater tensile strength similar to forged wheels. These characteristics subsequently transfer into better vehicle performance.